The feeling of relief when Memorial Day weekend rolls around is one I know well. It’s kind of like a checkpoint on our calendars, a spot we can rest upon and know that from this moment on, the weather will be nicer for a while. Making it to Memorial Day means we can feel secure in our excitement over barbecues, fireflies, swimming pools and short shorts. It means it is officially not unreasonable to begin fantasizing about reading in a hammock on a sunny day, wearing flip flops, or whipping up an ice cold pitcher of lemonade. No wonder we throw parties every year to celebrate this weekend! And what’s a party without DIY party decorations? If you’re having a barbecue at your house this Monday and slacked on the DIY party decor, don’t sweat it. We’ve got printables for hot dog holders, we’ve got an easy craft tutorial for napkin rings, and even some easy DIY centerpieces. Even if you plan to throw a laid-back get together, a Memroial Day craft or two can’t hurt. 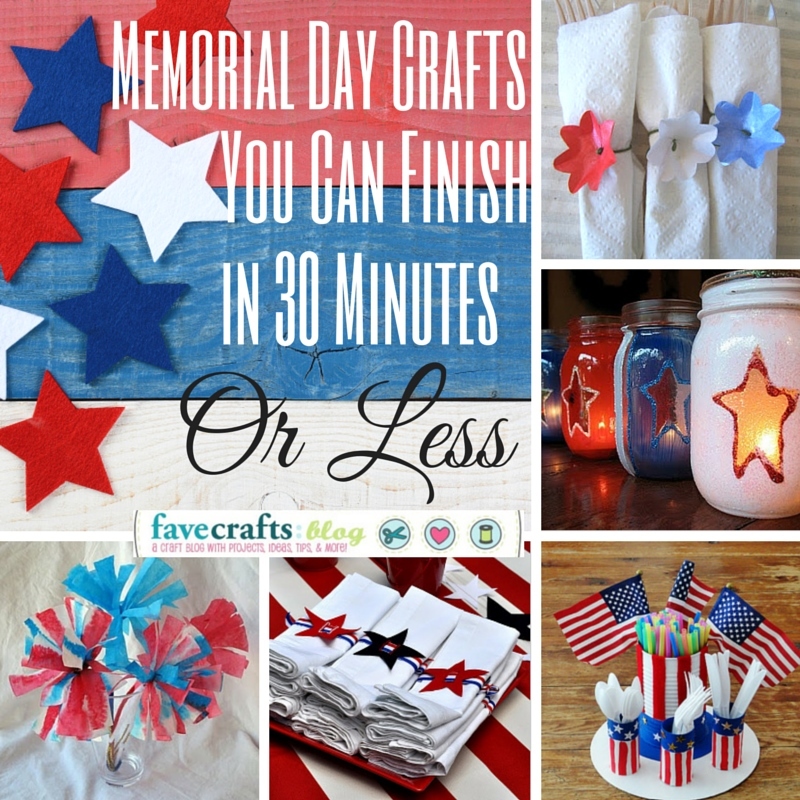 Plus…these patriotic craft ideas will only take you thirty minutes to make. DIY Memorial Day Garland – WOW so cute and easy! How do you plan to decorate this weekend? USA! USA! I’m so excited to cheer on Team USA as they head off to Sochi! My personal favorite sport is figure skating, and this year, I’m so excited to root for a friend – Jason Brown (check out his Riverdance performance on YouTube – you won’t be disappointed)! Since I have a personal investment in this year’s games, I plan to go all out with the red, white and blue. Patriotic projects are often most popular in the summer, but there are so many ways to add a little bit of USA pride to your life this winter. You can wear clothes that evoke the grand old flag or hang a wreath on your front door – there are so many crafty options and luckily, you don’t have to pick just one project. While I plan to sport some red, white and blue in the next few weeks, I don’t want to make too much of a statement. I have to go to work and do things that require a “business casual” look, so wearing a giant American flag just won’t do. I plan to make a few patriotic jewelry crafts so I can accessorize throughout the games. The American Bead Bracelet is perfect for jewelry crafters but simple enough for everyone. Another added bonus is that the bracelet is made out of wire, so it can fit anyone’s wrist. Another fun jewelry craft is the Patriotic Water Bottle Bracelet, which can be made with recycled materials. If you’re a yarn lover, have no fear! There are plenty of patriotic crochet patterns that you can work on before, during and after the games. 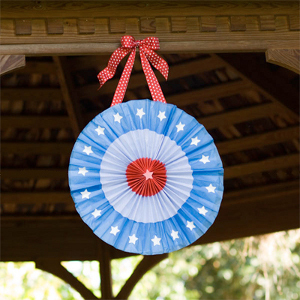 A Can Cozy will come in handy during parties and a Patriotic Wreath looks great on a front door. Be sure to save these designs and take them back out for Memorial Day and the Fourth of July. From downhill skiing to curling, there are so many exciting events to look forward to in February. 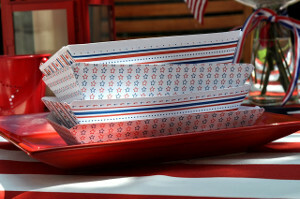 Now is the time to start making those patriotic craft projects so you can watch the opening ceremonies in style! Quilting is not only a tradition existing amongst a number of generations within a family, but also within a country. The editors at FaveQuilts have found that many of the most popular patterns on our site are also some with traditional roots in American quilting. We wanted to share our love of these classic quilt patterns with our readers, who can download a collection of them for free with our new eBook, American Quilting Traditions: 11 Free Quilt Designs, Quilt Blocks, and More Americana. You might be surprised to see how many of your favorite patterns are part of the American quilting tradition! Several styles of quilting are included in this must-read eBook, so whether you’re simply looking for a vintage quilt pattern, or need a special patriotic quilt pattern for an upcoming holiday, you can have several choices right at your fingertips in minutes. There are also small quilt projects and techniques that are commonly seen in American quilts so you can even touch up a finished project to give it a more classic appeal. Flower Petal Dresden Plates – One of the projects you’ll see in this eBook is also a favorite on our site. The tutorial teaches you how to take a classic Dresden plate pattern and turn it into a versatile pattern that’s perfect as an applique quilt design or floral embellishment for a seasonal quilt pattern. Old Money Quilt – We cover many different periods in American quilting that are equally as important in history. 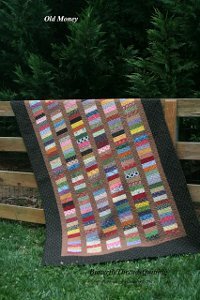 One of the best examples of this in our eBook is this stacked coin quilt based off of Civil War patterns. 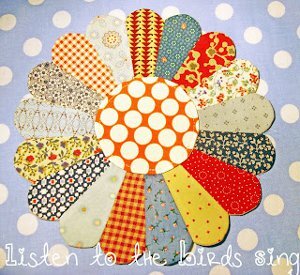 Fans of vintage quilt patterns will particularly enjoy this, especially if you have some old fashioned fabric you’re looking to use. 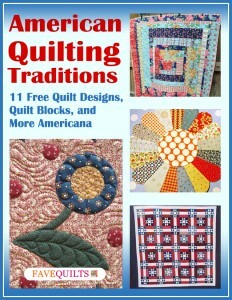 Download a copy of American Quilting Traditions: 11 Free Quilt Designs, Quilt Blocks, and More Americana – It’s free! Tomorrow is one of my favorite days of the year – the Fourth of July! 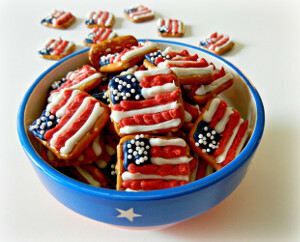 Not only is the day filled with sun and delicious food, but it’s also a chance to celebrate the USA! I love pulling out my patriotic clothes and painting my nails to show my pride. The Fourth of July is also a chance to reflect on our nation’s history and appreciate the men and women who protect us every single day. 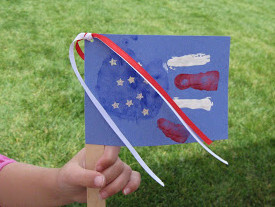 Capture the excitement and energy of this day by creating a few last-minute patriotic projects. If you’re hosting a party for the Fourth of July or simply want to add a patriotic touch to an otherwise unexciting meal, create your own July 4th Snack Bags. 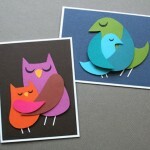 This is such a simple project and you can make them in minutes. You can also add a patriotic touch to your table by creating your own Gingham Salt and Pepper Shakers. All you have to do is cover a standard set of shakers in pretty paper – easy, right? Want to go green this Fourth of July? 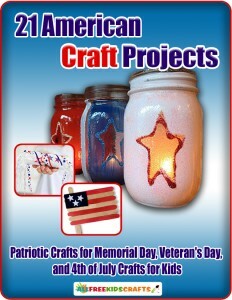 Grab some empty aluminum cans and have kids decorate Repurposed Patriotic Luminaries with paint and craft foam. Set them outside as decoration during a family cook-out. If you have some paper and string, you can easily make a red, white and blue American Stars Garland to hang in your home. Kids and adults can work on this project together – what a great way to spend a day off from work or camp! See? 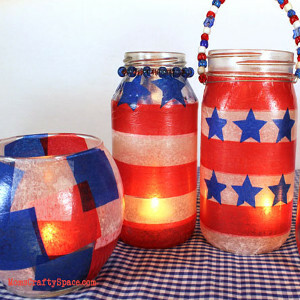 There’s still plenty of time to craft for the Fourth of July. Don’t miss the opportunity to express your patriotic pride. Get the kids involved and show them why the Fourth of July is so important. These crafts will help create memories that will last a lifetime. Call me a geek, but I love the Fourth of July. The holiday brings marching bands belting patriotic tunes, cook-outs, and an unmistakable energy (not to mention the Independence Day sales, which coincidentally tend to go on for about a week). For lack of a better term, I just think the holiday of stars and stripes is a blast. There are plenty of ways to partake in the Fourth of July. Whether you hit up the parade or grill in your backyard, everyone can enjoy the patriotic spirit in his or her own way. If you’re of the crafty variety, one of the ways you might want to partake in the holiday is with home decor. 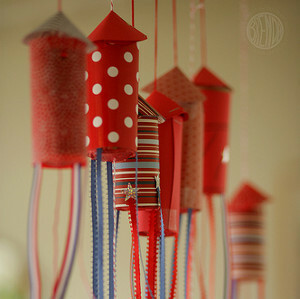 This Fourth of July, fill your home with stars and stripes by breaking out your sewing materials. 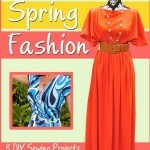 Check out these sewing patterns for a little inspiration. These decorative pillows will be the center of everyone’s attention at your Independence Day barbecue. Celebrate the 4th with historically themed outdoor pillows that scream stars and stripes. This sewing tutorial will show you how sew eye-catching pillows that will have everyone wondering how you did it. There’s no better way to fill your home with patriotic spirit than to put the stars and stripes right on your couch. 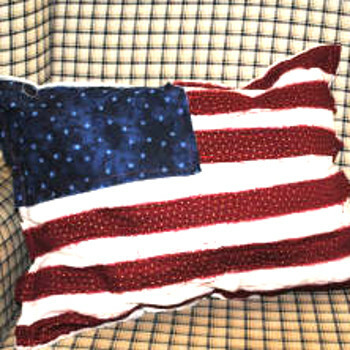 This flag pillow is the perfect decoration to display in celebration of the Fourth of July. 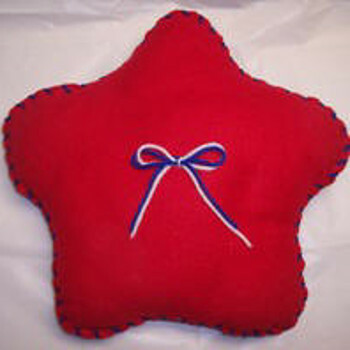 Check out the sewing tutorial to see how you can easily sew this red, white, and blue pillow. This project puts the patriotic spirit right on your couch. 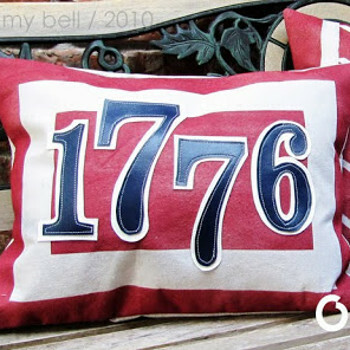 These pillows are perfect for anyone who is looking for decorations that will raise the Fourth of July enthusiasm. A printable pattern is provided to make this patriotic home decorating project as easy as can be. 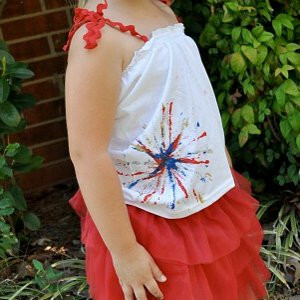 If you’re looking for a way to put your fabric scraps to use, this Fourth-of-July-themed project is for you. 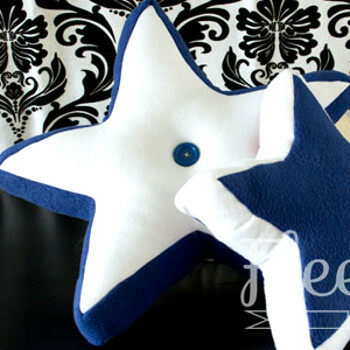 Pick out your favorite red, white, and blue scraps of fabric and turn them into these cuddly star pillows. This environmentally friendly project is a great way to energize your family for the holiday. 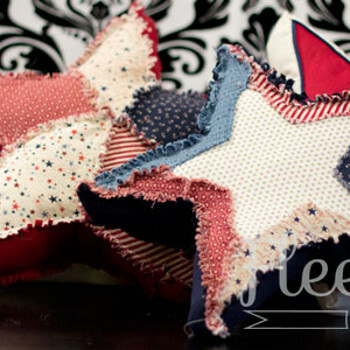 With just some felt and yarn, you are ready to make this fluffy and low-budget patriotic pillow. Follow along with this sewing tutorial, and before you know it you’ll have a decorative pillow that reminds everyone of America the Beautiful. Check out the printable pattern to get started. How do you plan to fill your home with stars and stripes? 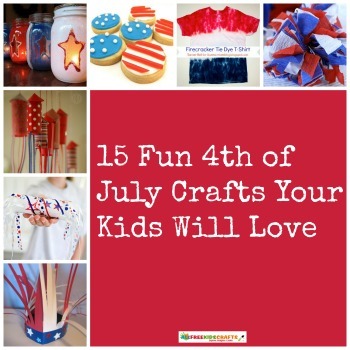 4th of July crafts are more popular than ever, and it’s no wonder why! 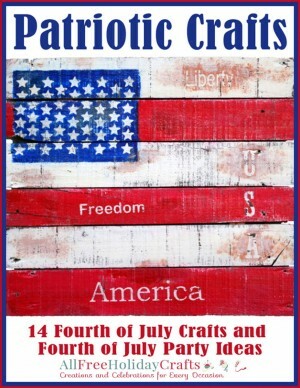 With just a couple short weeks until the patriotic festivities ensue, now is the time to get your 4th of July crafts completed. 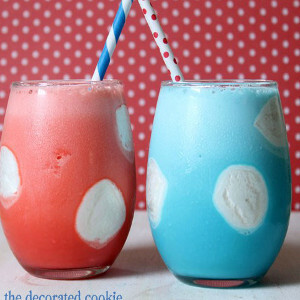 Whether you’re looking for patriotic kitchen crafts, decorating ideas, July 4th clothing accessories, or all-American dessert recipes, these 15 American Craft Ideas for 4th of July are sure to provide the inspiration you’re looking for. If you’re hosting a 4th of July gathering this year, you’ll probably need some festive table decorations. 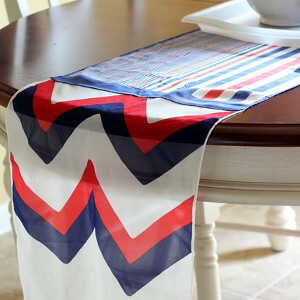 Keep your table clean but still patriotic when you adorn it with American Flag Placemats. Maybe you’re eating outside, so you don’t necessarily need to keep your patio table clean. No worries! 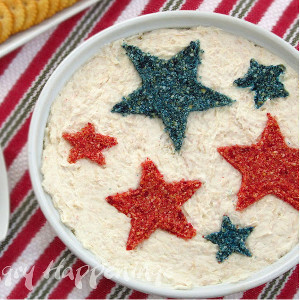 We have several other 4th of July crafts for your table. Say you’ve already hit the party store and bought red plastic knives, white plastic forks, and blue plastic spoons. 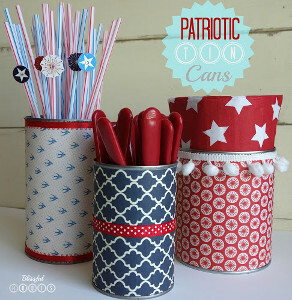 Create Patriotic Cutlery Cans! There is no better way to display your patriotic silverware. Do you still need a patriotic decoration for your front door? 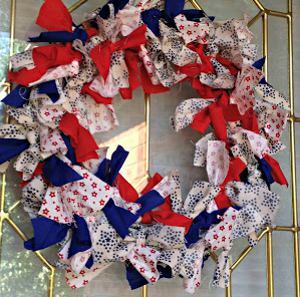 Now’s the time to make a Fourth of July Fabric Wreath. Have you ever seen or made tie blankets before? A similar technique is applied to this fabulous 4th of July craft. Maybe your front door is already covered, but you need a little patriotism inside your home. Try making the Burlap Americana Bunting! Your mantel will be full of Independence Day cheer. Everyone knows that come 4th of July, you are expected to dress in the appropriate colors. However, you probably get tired of wearing the same fireworks T-shirt or American flag polo every year. 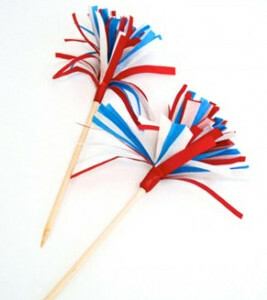 Dress up your traditional outfits with a Patriotic Pinwheel Brooch. This 4th of July craft is easy, quick to complete, and will surely win you complements during the Independence Day celebrations. 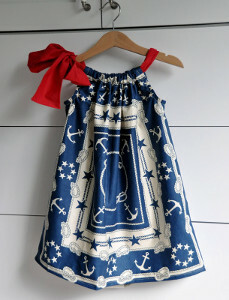 If you’re all set for your patriotic ensemble, but you don’t know what to put your daughters in, try making a Yankee Doodle Dress. This craft is just as quick as the brooch and will endear everyone who sees the little girls dressed up for the holiday. It’s July 3rd, and you just remembered you promised to bring dessert to tomorrow’s 4th of July party. Never fear! These All-American Dessert Recipes will save the day. 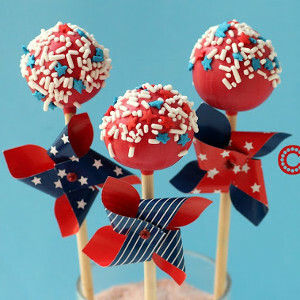 Try making Delicious Patriotic Cake Balls. Cake balls are an extremely popular dessert, and are generally enjoyed by all. I dare you to find someone who doesn’t like this sweet dessert. 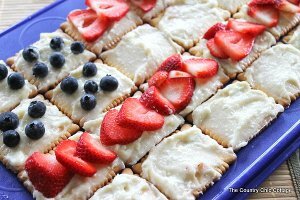 If you need to make a dessert in even less time, try the No-Bake Flag Dessert Recipe. This dessert is insanely easy to make and takes under an hour of your time. 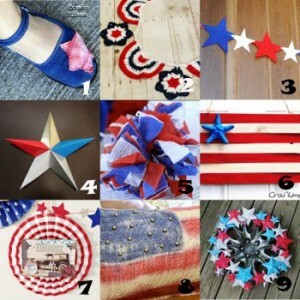 For more fabulous 4th of July crafts, check out the free eBook How to make July 4th Decorations: 8 Patriotic Craft Tutorials. 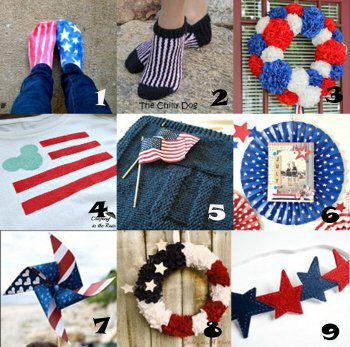 What is your favorite patriotic craft?